WE ARE PROUD TO HAVE AN EXCELLENT TEAM. Health care delivery, especially oral health care delivery depends on teamwork, a number of people working diligently together for a common purpose. Our practice would not succeed without such a team that believes in and is committed to its vision and mission. At The George R. Owino & Associates Dental Centre we are proud to have an excellent team of professional doctors, assistants and support staff that brings together multiple talents, wisdom of age, youthful enthusiasm and national diversity. 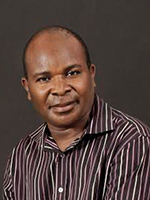 Our friendly team led by Prof. J. F. Onyango, is eager to be of service to you and is dedicated to providing excellent dental treatment for you and your family at affordable prices. Meet our team. At The George R. Owino & Associates Dental Centre we have doctors and other clinicians who are experienced, knowledgeable and skilled to give the best care possible. Hi! 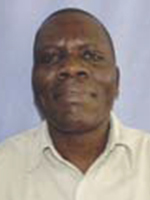 My name is Prof. John F. Onyango and I am the Director of The GRO&A Dental Centre. 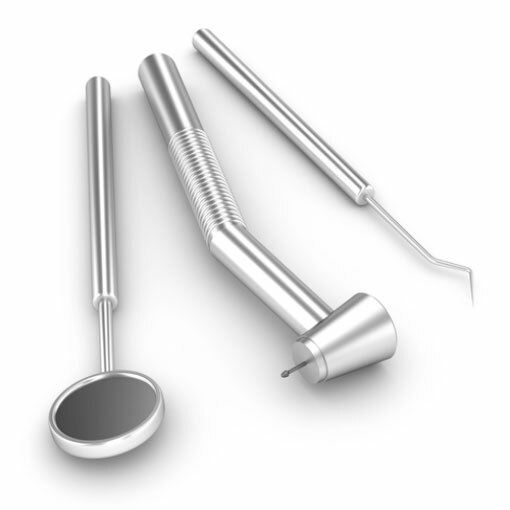 I bring 30 years of experience to the practice and management of clinical dentistry. My key area of specialization is Oral and Maxillofacial Surgery. My key administrative responsibility, however, is to assemble and maintain the best team that delivers extraordinary dental care and to provide the resource they require to do it. I am privileged to work with a team of talented and dedicated staff at The GRO&A Dental Centreand believe that at The GRO&A Dental Centre you are in the best hands. I look forward to meeting you and welcome you to our care Centre in Nairobi and Kisumu. Hi! 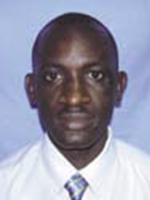 My name is Dr. William Opiyo and I am a Senior Associate at The GRO&A Dental Centre clinic, Nairobi. 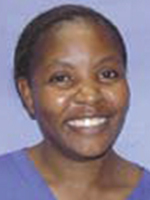 I have been in clinical dental practice for 19 years and I enjoy general dentistry, as well as cosmetic dentistry. My key responsibility is to provide you with the best dental care you expect and deserve. I look forward to meeting you and welcoming you to our clinic. Hi! 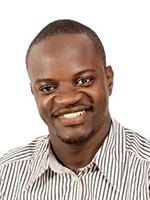 My name is Dr. Shem Rakewa and I am an Associate at The GRO&A Dental Centre clinic, Kisumu. I am a graduate of Moi University, school of dentistry and I have a great passion for care of children. This calls for compassion and patience; which are my key strengths. I look forward to meeting you and welcoming you and your loved ones to our Kisumu clinic. Hallo! My name is Agnes Nyota. 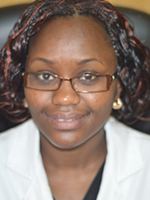 I am a Community Oral Health Officer and the Hygienist Team Leader at The GRO&A Dental Centre clinic, Nairobi. I graduated from Kenya Medical Training College (KMTC), and joined the practice in 2014. I enjoy working here. My primary responsibility is to provide you with the best preventive care possible. This includes oral hygiene and diet counseling. It is my real pleasure and privilege to serve you and I look forward to meeting you. Dental assisting is a key component of quality oral healthcare. We, therefore pay great attention to the skills and education of our dental assistants. At The George R. Owino & Associates Dental Centre, we have a well-trained, skillful, and dedicated team of chair-side assistants to take care of your oral care needs. Hallo! My name is Molline Nderitu. I am a Dental Assistant at The GRO&A Dental Centre, Nairobi. I have worked at The GRO&A Dental Centre for the last 15 years and I enjoy my work. It gives me great pleasure to take care of our client and see them leave the clinic satisfied. My key responsibility is to assist the doctor to deliver the best care to our patients. I look forward to meeting you. Hallo! My name is Irene Ndanu. 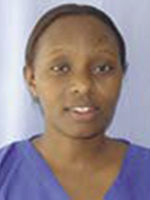 I am a Dental Assistant at The GRO&A Dental Centre clinic, Nairobi. I have worked here for the last 15 years and I enjoy working here. I love taking care of people and my job gives me satisfaction. My key responsibility is to settle you down in our surgery and have little worry concerning your treatment. I welcome you to our clinic and look forward to meeting you. Hi! My name is Sarah Metho. 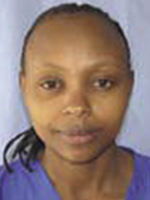 I am a Dental Assistant at The GRO&A Dental Centre clinic, Nairobi. I have worked at the Dental Centre for the last 7 years and I enjoy working here. Over that time I have come to appreciate the value of relationship with our patients. It is a great privilege and honour to have someone trust you with their most precious possession, their health. I appreciate your choice to have us take care of you. I do not take it for granted. I welcome you and look forward to meeting you. Hallo! My name is Maureen. 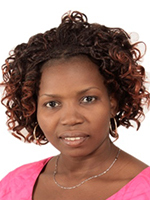 I am a Dental Assistant Team Leader at The GRO&A Dental Centre, Kisumu and in charge of client relations. I have worked at the GRO&A Dental Centre for the last 9 years; three in Nairobi and six in Kisumu. I enjoy working here. My primary responsibility is to ensure that our practice delivers care in the way our clients prefer and expect. In the last six years we have made an indelible footprint in Kisumu and built a solid client base. It is our aim to give the best care in the most pleasant atmosphere. I welcome you to our Kisumu clinic and look forward to meeting you. Hallo! My name is Caroline. I am a Dental Assistant at The GRO&A Dental Centre, Kisumu. I have worked at the practice for the last 4 years and I enjoy working here. My key responsibility is to assist the doctor provide the best dental treatment possible. I welcome you to our Kisumu clinic and look forward to meeting you. We have a well-trained team of support staff to ensure that our doctors and nurses give their undivided attention to your care. Hi! 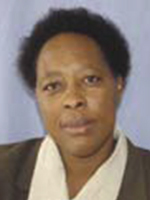 I am Elizabeth Waithaka. 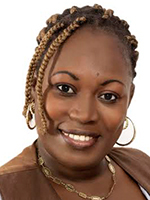 I am the Practice Coordinator at The GRO&A Dental Centre, Nairobi. I have worked here for the last 25 years and enjoyed every moment of it. I have seen the kind of transformation that dental treatment can make in one’s general health and personality. It is a joy to see our clients walk from our clinic with real pride and a genuine smile. It is my real pleasure and privilege to serve you. I look forward to meeting you. Hallo! My name is Gladys Oywa. I am the Practice Receptionist at The GRO&A Dental Centre, Nairobi. I have worked here for the last 18 years. My chief responsibility is to make sure that you receive your treatment promptly and conveniently. I will also ensure that your moment with us is pleasant and memorable. I look forward to meeting you. Hi! My name is Rose Obora. 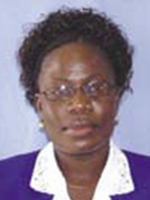 I am the Practice Administrator at The GRO&A Dental Centre, Kisumu. I have worked at the Dental Centre clinic in Nairobi for the last 15 years. When we opened our office in Kisumu I came over from Nairobi to set up the office. It is my pleasure and privilege to be of service to you. I look forward to meeting you. Hi! I am Gonzaga Odhiambo. I am the Client Relations Manager at The GRO&A Dental Centre, Nairobi. I have worked at the Dental Centre for the last 8 years. My primary responsibility is to keenly listen to your needs and make sure that they are fulfilled. From time to time I will call on you to seek your opinion. I look forward to meeting you. Hallo! 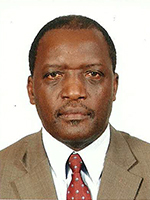 My name is Peter Omamo. I am the Caretaker at The GRO&A Dental Centre, Nairobi. I have worked here for the last 15 years. My primary responsibility is to make sure that we treat you in a safe and pleasant environment. It is my pleasure to serve you. I look forward to meeting you. Hi! My name is Julius Owino. 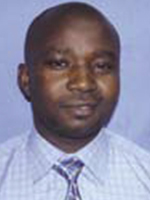 I am the Chief Accountant and Credit Manager at The GRO&A Dental Centre, Nairobi. I have worked here for the last 8 years and enjoy working here. My primary responsibility is to ensure that we have the resources to provide you with quality and timely care. It is my sincere pleasure to serve you and I look forward to meeting you. Hi! My name is David Onyango. 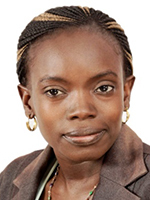 I am an Accountant at The GRO&A Dental Centre, Nairobi. 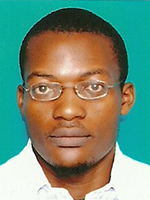 I am a B-Com graduate from the University of Nairobi. I joined the practice in 2014 and I enjoy working here. My primary responsibility is to ensure that we have the resources to provide you with quality and timely care. It is my sincere pleasure to serve you and I look forward to meeting you. Hi! 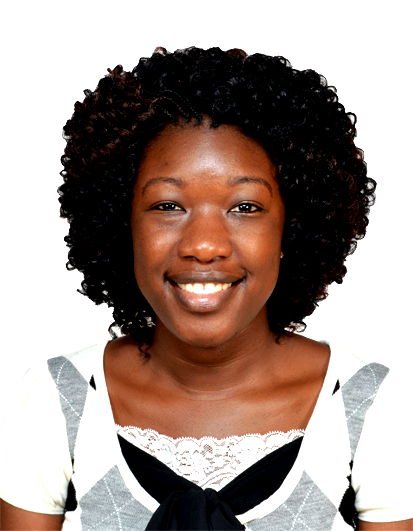 My name is Anita Awuor and I am a Web Presence & Digital Media Manager at The GRO&A Dental Centre. 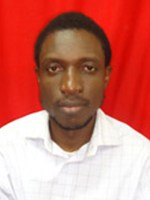 I am a B-Com graduate from the Catholic University of Eastern Africa and joined the practice in 2014. I believe patient care is the most important thing in a dental practice, and we need to build relationships and mutual trust with our patients. My primary duty is to let you know that The GRO&A Dental Centre is there to take care of your needs and keep you informed, as much as possible, regarding your treatments. It is an honour to serve you and I look forward to meeting you. Hi! My name is Kevin. I am a Service Technician at The GRO&A Dental Centre, Nairobi. I have a Higher National Diploma in electrical and power electronic engineering from the Kenya polytechnic (now the Technical University of Kenya) and currently pursuing my bachelor’s degree in electrical engineering. My primary duty is to ensure that all equipment in the clinic functions well to deliver quality care. I can, therefore, assure you that you have chosen a good place to have your oral healthcare needs attended to. I look forward to meeting you.